TOKYO (REUTERS) - Korean Air Lines on Friday (May 27) evacuated 319 passengers and crew from an aircraft preparing to take off from Japan’s Haneda Airport in Tokyo after its left engine caught fire. The incident prompted authorities to temporarily close down Japan’s busiest aviation hub. Three of the airport’s four runways were reopened later in the day, but by 0630 GMT (2:30pm Singapore time), 297 flights had been cancelled with 57 planes diverted elsewhere. 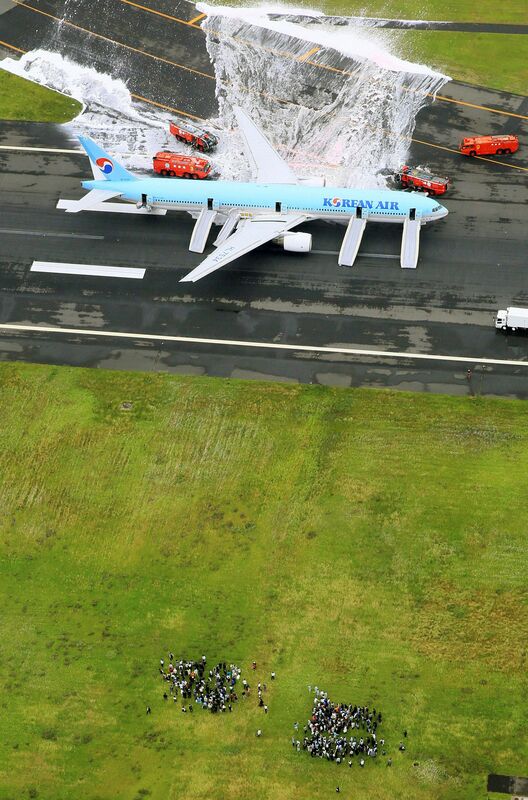 An NHK broadcast showed images of the Boeing 777 on a runway being sprayed with foam by fire trucks, with four of its emergency slides deployed. The aircraft, due to fly to Seoul in South Korea, was powered by two Pratt & Whitney PW4000 engines.